BRAND NEW ROOF COMING SOON! 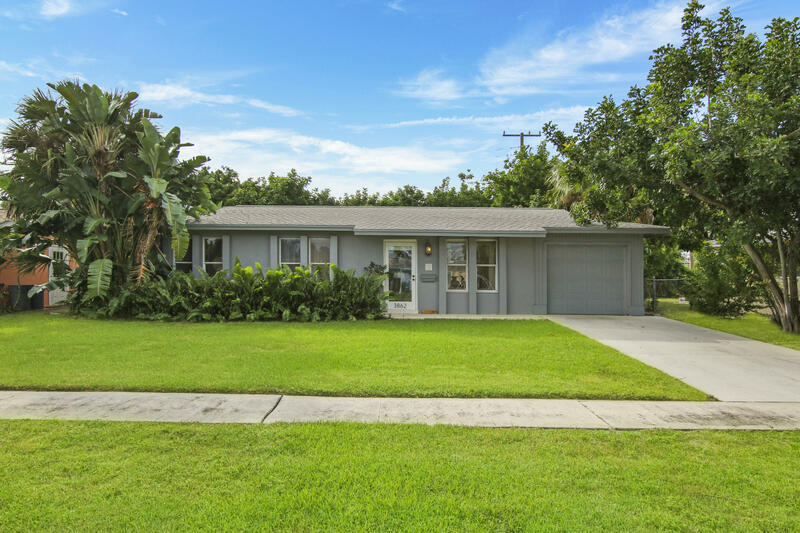 Come see this charming 3 bedroom CBS home in desirable Palm Beach Gardens. Notable upgrades include: Quartz kitchen counter-tops, farmhouse sink, original Terrazzo floors throughout, upgraded lighting fixtures, new tank-less hot water heater and upgraded plumbing fixtures. With a large fenced-in backyard and plenty of room for a pool, this home will not last long. One-year home warranty included in sale.